A Sacred Ibis flying over the Milnerton Lagoon, Woodbridge Island an early morning shoot. 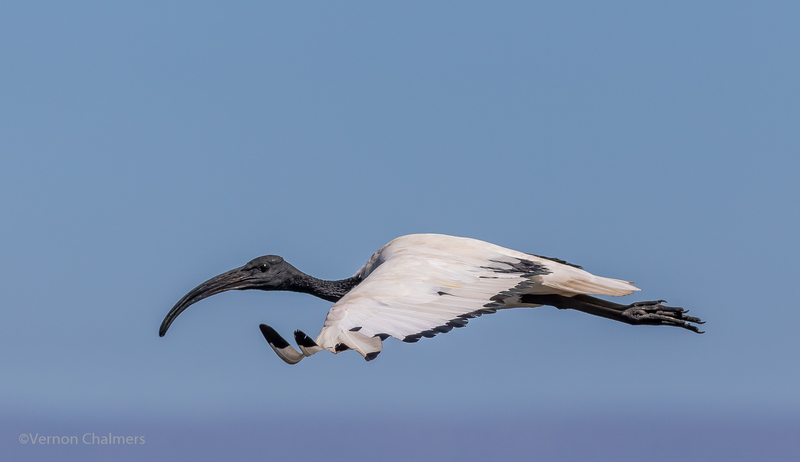 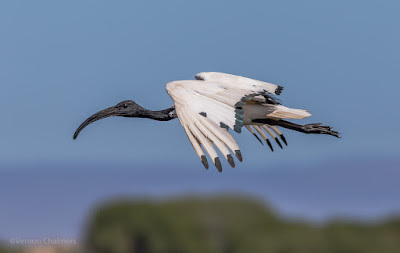 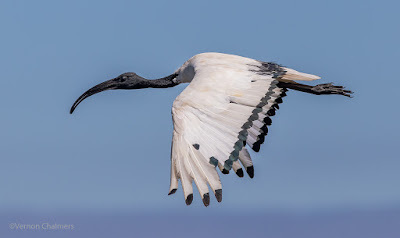 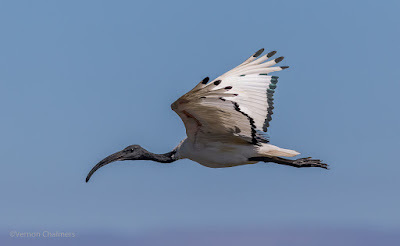 All Sacred Ibis photos by Vernon Chalmers with Canon EOS 7D Mark II / EF 400mm f/5.6L USM Lens ISO 640 f/5.6 1/4000's, AI Servo: Case 1 / Wide Zone AF Selection (Handheld). 10 fps High-Speed continuous shooting mode.